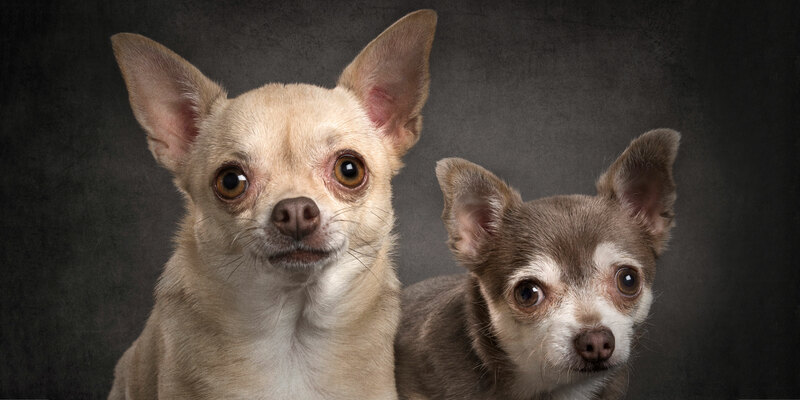 Cheeky Chihuahua, Bruza (sandy and tan), and Chilled Chihuahua, Bazza (silver, grey and plum) are inseparable fur siblings who do everything together. Older sister Bruza is her human “Daddy’s Girl”, while tiny Bazza is “Mummy’s Boy”. So thoughtful of these... Click here to Read More. 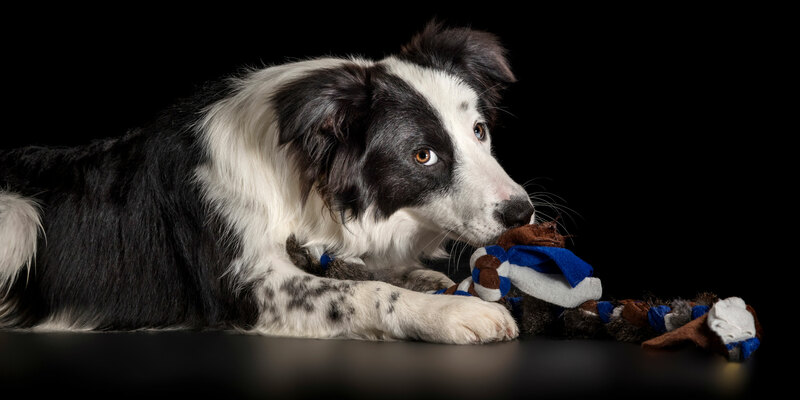 Smiling Border Collie boys, Shadow (chocolate and white) and Cooper (black and white) are best pals who love – and are loved – by everyone they meet. One of Shadow’s “tricks” is to chase himself …… well, his shadow anyway... Click here to Read More. 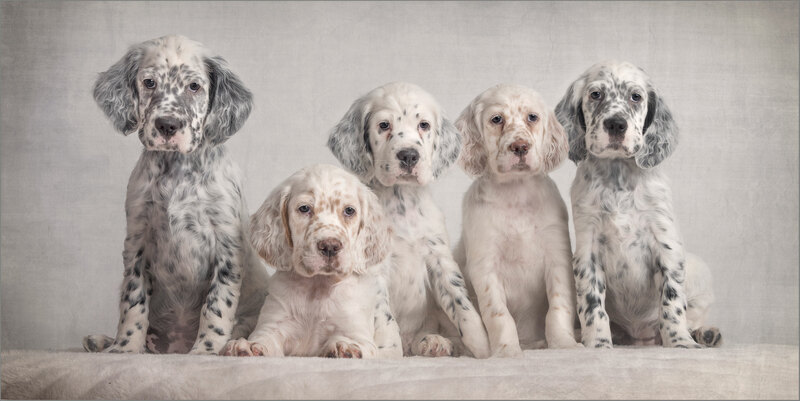 Justifiably proud first time mum, Sofie (English Setter), has passed on her good looks to every one of her oh so adorable Fab Five puppies. And how ever has Sofie managed to teach them such beautiful manners to sit so... Click here to Read More. 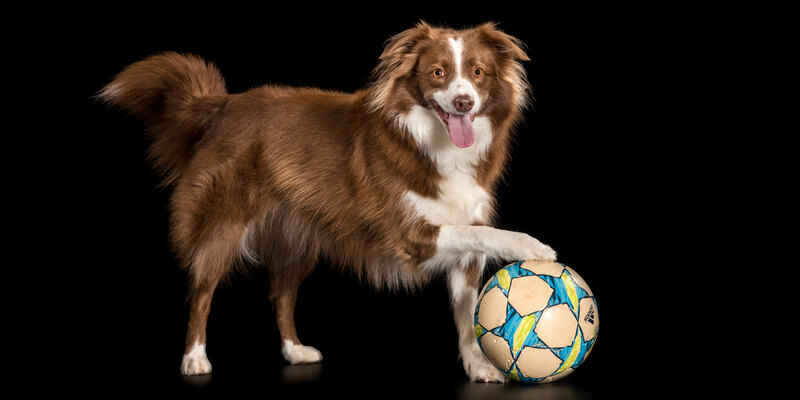 Fortunately best pals, Dennis (black and white Border Collie) and Aurora (brown and white Border Collie) both play soccer for the same side – Liverpool rules!! – so there’s no sibling rivalry come match day. Dennis is the beautiful “elder... Click here to Read More. BC? Beautiful Creatures? Both Charming? Oh yes …. 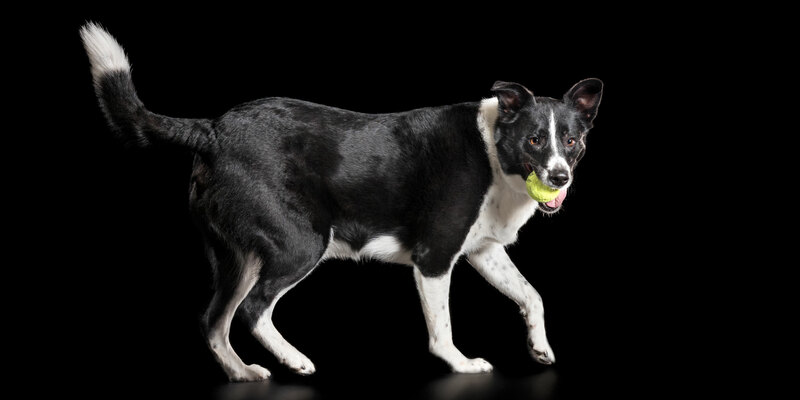 Border Collies!! Yoyo (short haired) and Blackie (long haired) are their human mum’s cuddle pups, but also have heaps of tricks up their sleeves (well, they would if they had sleeves). Yoyo’s... Click here to Read More. Sadly, little Baluchi has recently passed away. But that does not change the effect he had in his too short life. Just one word … MELT! 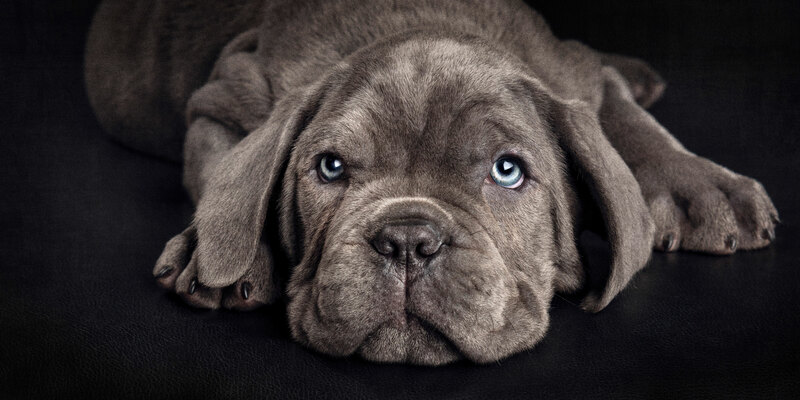 What an adorable little Neo Mastiff puppy Baluchi was. This little fella already knew... Click here to Read More. 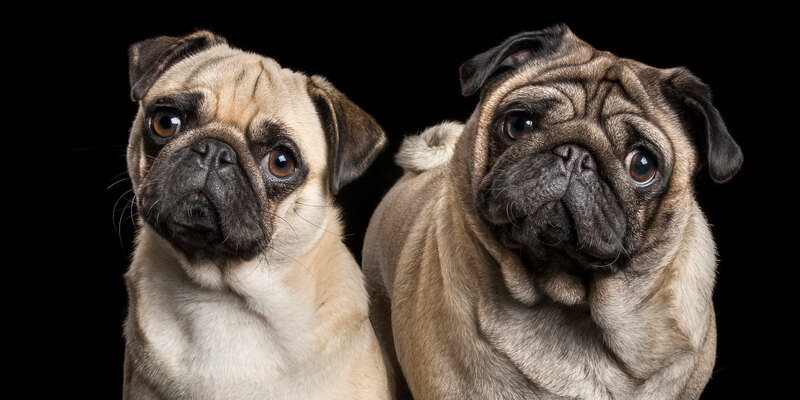 Pug fur-sisters Marley and May (smaller and lighter faced of the two) are best friends and find the thought of not being able to cuddle, play and rest together rePUGnant. Marley also loves her special Pig the Pug toy, but... Click here to Read More. Happy Jack’s (Shih Tzu-Maltese) human parents would agree with you if you thought you were looking at Falkor the cute Luckdragon from The Neverending Story. 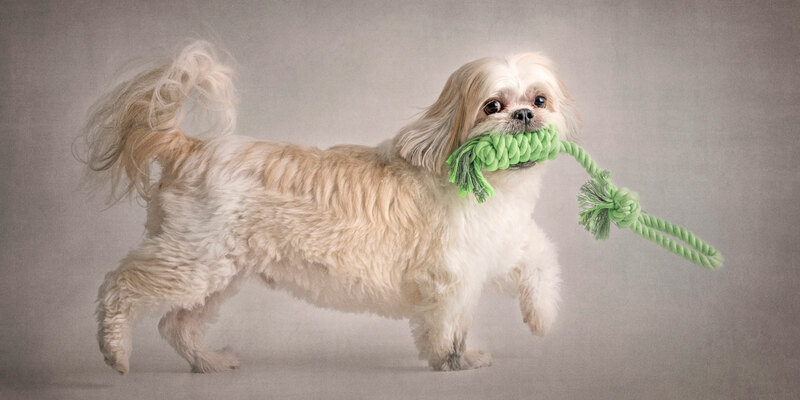 This cruisy little dude exudes personality plus, and obviously enjoys a wee game of “let’s... Click here to Read More. 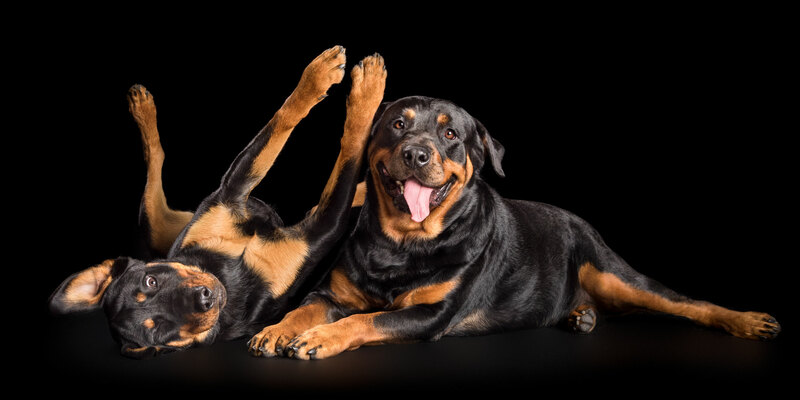 Archer (older brother) and Willow (little sister) are Rottweilers who just adore playing with each other. Willow’s fond of lying on top of Archer to show just how much she loves him. Looks as though she even applauds him? Archer... Click here to Read More. Talk about puppy love – one look and you will be smitten too! 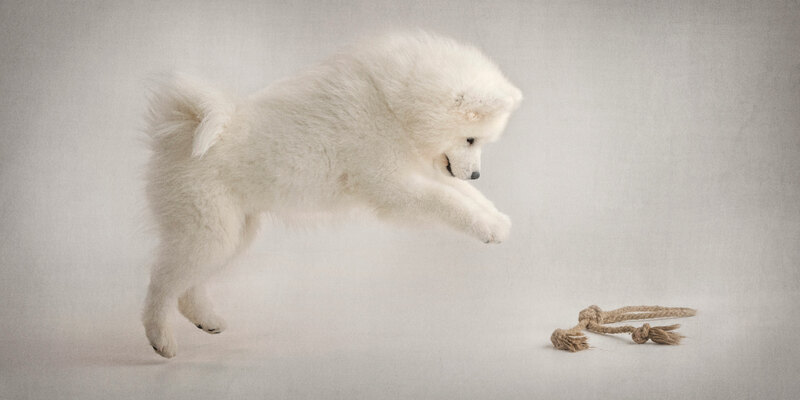 Hugo is a playful little Samoyed boy who is his human parents’ pride and joy. This cute little “teddy bear-like” pup is a social butterfly who loves... Click here to Read More.